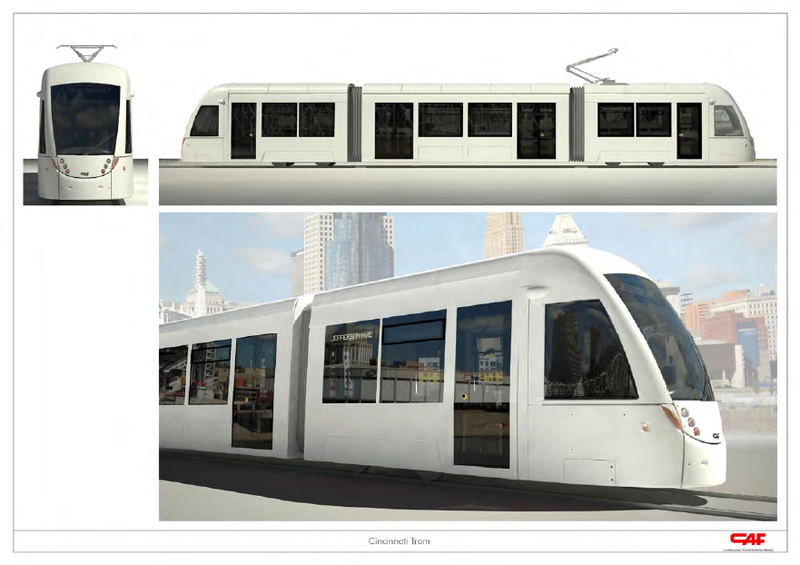 Mayor Mark Mallory used his 2012 State of the City address to unveil design renderings of the Cincinnati Streetcar among other things. A color scheme has not been selected yet. It would be nice to see some elements of the city’s flag incorporated, however. UrbanCincy has a nice rundown of the entire address here. State of the City 2012 from CitiCable on Vimeo. The red and white color scheme looks incredibly dated to me. I also don’t understand the relevance of the red. The brandmark for the City of Cincinnati is primarily blues with a green accent. Metro’s brandmark is also blue with a green accent. Doesn’t it logically make sense for the streetcar to follow this blue/green color scheme as well? Yes, that makes a lot of sense. But how did the green and blue ever come to be Cincinnati’s brandmark in the first place? It doesn’t correlate with any of the city’s identity that I can recall. I was hoping for a more retro look. I think the proportions look kind of off. The front and back sections look really short. Or is that just me? 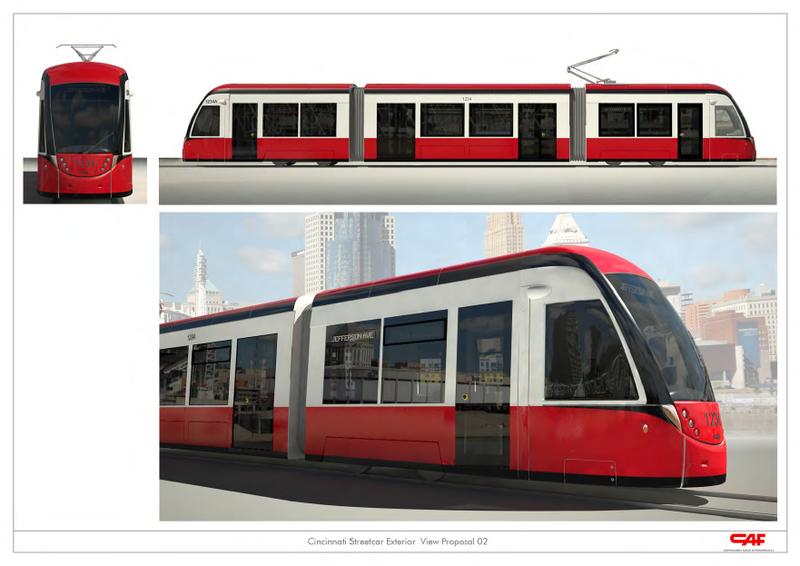 Also the renderings make it look like it will be impossible to read the sign on the front of the streetcar if the sun is out. 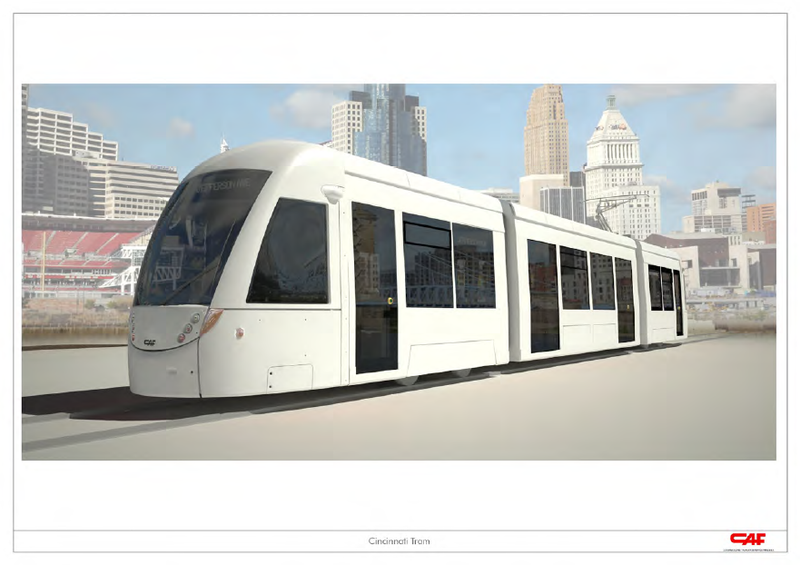 A simple yet identifiable design would be to make the car mostly white and run the double blue striping from Brad Thomas’ Cincinnati Streetcar logo the entire length of the car, just under the windows. 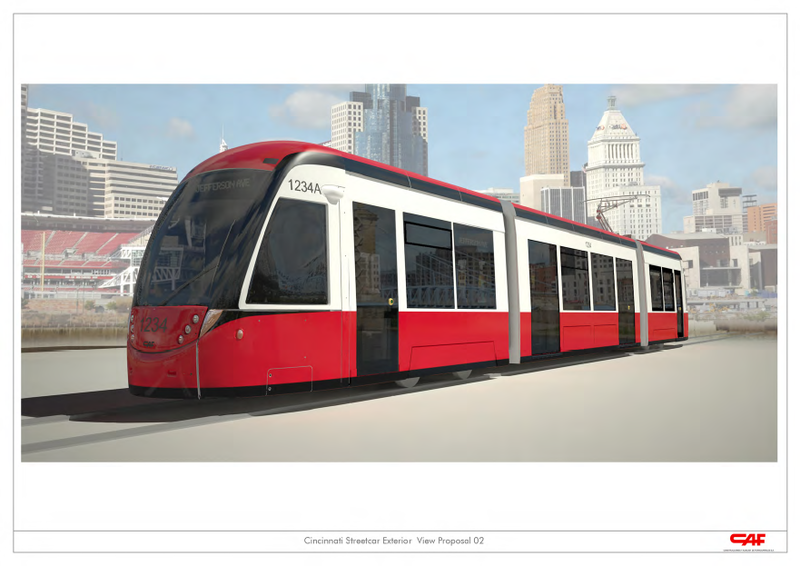 But to make it uniquely Cincinnati, I would display the red ‘C’ from the city flag on the front of the car. Munich’s Trambahn does something similar in that the city seal is displayed on the front. Notice how these drawings omit the overhead wires, low-hangiing and ugly as sin? Surely track-carried power would work better and not be ugly as local politics!